In February 2009, AMCRAN made its submission to the AHRC Freedom of Religion and Belief in the 21st Century Project. The inquiry sought submissions from faith communities and other civil society organisations to record their concerns and proposed solutions to build a more socially cohesive and harmonious society that protects and promotes the Universal Declaration of Human Rights and the International Covenant on Civil and Policital Rights. In October 2005 AMCRAN held its first Racial Discrimination and Vilification Law Training Course for a group of community workers within the Muslim community. Read on for a report on what happened by participants Madona Kobayssi and Amal Awad. On 25 August 2004 AMCRAN wrote to the Prime Minister John Howard, Attorney General Philip Ruddock, and Minister for Justice and Customs Senator Chris Ellison about the upcoming election. The letter raised a number of community concerns about the wedge politics that were on display leading up to the 2004 election. Concern was also raised about the apparent disinformation and demonisation campaign surrounding the “children overboard” affair. The letter was also also sent to their Opposition counterparts. The office of the Prime Minister and the Liberal Campaign Headquarters responded to these concerns. 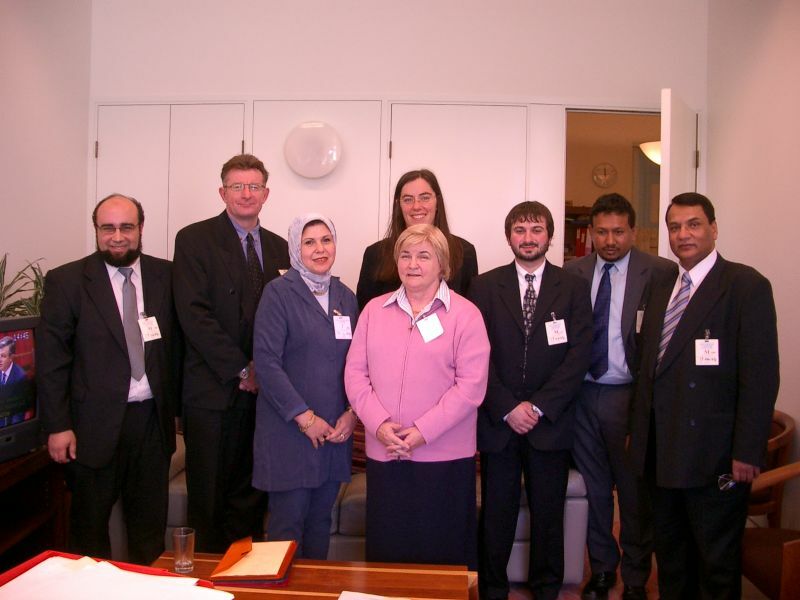 On 16 and 18 June 2004, Senator Bartlett of the Democrats spoke in the Senate about his concerns for the Muslim community in Australia and in relation to the visit by Muslim representatives on the 17 June 2004. On 14 June 2004, AMCRAN coordinated a joint open letter from leading Muslim organisations to Federal MPs and Senators raising concerns about the effects of the anti-terrorism legislation on the Muslim community. A media release was sent out about these concerns. Many MPs and Senators responded to the open letter. Most of the replies were form responses, but several took the time to address (to various extents) the issues raised in the open letter. The Attorney-General Mr Philip Ruddock's response in particular was of concern to AMCRAN and follow-up correspondences ensued. A group of seven Muslim community representatives from various organisations visited Parliament on 17 June 2004. A total of three meetings were held: first, with the Greens and Senator Kerry Nettle, secondly with ALP Members of Parliament Laurie Ferguson, Stephen Smith and Robert McLelland, and finally with Democrat Senators Andrew Bartlett and Aden Ridgeway. The meetings were organised by Diana Abdul Rahman.